TRAVEL IDEAS: APRIL — Sally and Alice Travel Co. | Luxury African Safaris | Tailor-Made Holidays | Sally and Alice Travel Co.
April sees the end of Mauritius' wetter summer months, with lovely sunny weather expected across the island. In the Seychelles, April (along with October) is a 'transition' month between the Southeast and Northwest Monsoon, and is thus considered one of the best months for a visit to the archipelago: the winds die down as they change direction and sunny days are the norm. Sunny days are a given and temperatures are still comfortable in Oman and it's also a lovely time of year to visit Morocco for some early sunshine, with the new Oberoi Marrakech set to open (complete with 25 acres of citrus orchards and olive groves) in 2018, and new direct flights between Marrakech and Fez, two fascinating cities that were previously a six hour drive or train ride apart. It's also one of the best months for tiger safari in Rajasthan, India. After a long closure and full redevelopment, Four Seasons Resort Seychelles at Desroches Island reopened in March 2018 to great fanfare. Located in the Amirantes group of islands in the Seychelles, Desroches is 6km long and 1.5km wide. A Coralline island as opposed to Granitic, Desroches lies flat, edged by 14 kilometres of soft white sand protected by a coral reef, rich in colourful marine life and amongst the top 15 fishing and diving destinations worldwide. This island is truly any outdoor enthusiast and nature lover's dream, and guests are free to explore the island's untouched beauty, and fascinating flora and fauna. Just as well then that from the end of March, British Airways is launching a twice-weekly flight from London Heathrow to Mahé in the Seychelles, meaning beach lovers can now reach these paradise islands with no changes or connections. 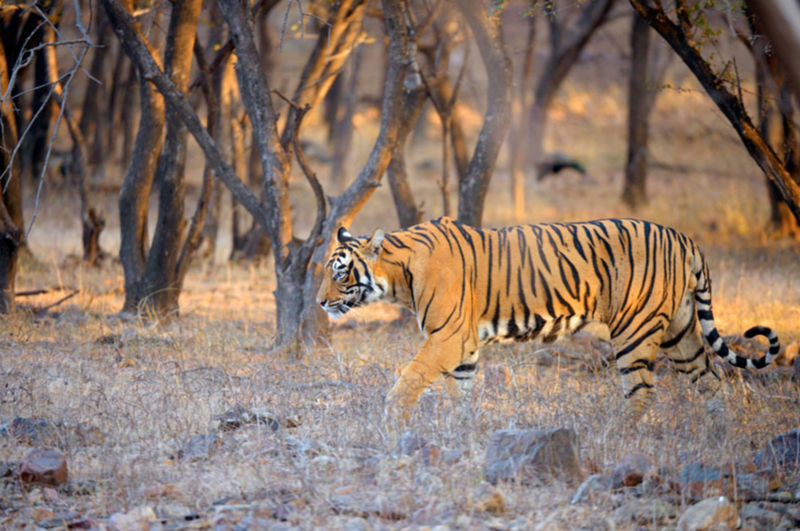 Due to receding water and less foliage April is considered on of the best months for seeing tigers in India's Rathambhore National Park as they visit the last remaining waterholes. Aside from tigers, Ranthambhore is a sanctuary to a variety of wildlife including leopard, nilgai, wild boar, sambar, sloth bear,southern plains gray langur, rhesus macaque and chital plus a wide varierty of trees, plants, birds and reptiles, Sher Bagh continues to be our preferred base for Rajasthan safaris -the camp is designed to make you feel as if you’ve stepped back in time, with tents set in an arc around an immaculately clipped green lawn. Inside, they’re filled with character: old-style lanterns by the wooden beds, a writing desk complete with a ticklist of animals to spot, and bathrooms with rainwater showers and elegant copper fittings. Saunter over to the main lodge and you’ll find a host of fabulous tiger photos (all taken by owner Jaisal Singh or his wife Anjali). Later in the year we look forward with great anticipation to Six Senses Fort Barwara opening in the Rajasthani village of Chauth ka Barwara, 68 miles southeast of Jaipur. The property is located on the site of a 700-year-old fort which was owned by the Rajasthani Royal Family and sits directly opposite the temple, Chauth ka Barwara Mandir. An impressive Six Senses Spa, located in the original women’s palace, will feature an extensive ayurveda program, meditation and Six Senses Integrated Wellness programs including Six Senses Integrated Wellness and Sleep with Six Senses. Thirty minutes from the Ranthambhore National Park, Six Senses will offer daily safari drives into the park. Also newly re-opened in 2018 is Sanctuary Stanley's Camp. Located in the heart of Botswana's Okavango Delta, Stanley's Camp is a wonderful tented camp with views out over the flood plains. The camp is famed for its interaction with elephants and offers a rare opportunity to learn more about these amazing giants. The much anticipated new look camp will feature 10 brand new luxury tents, reconfigured and significantly larger. A breezy new central tent will feature a dining area and Explorer Lounge which will be modelled on the orientation room at Sanctuary Chief's Camp. There will also be a sociable new outdoor bar and fire pit deck with fabulous views over the floodplain in front of camp. Shared only with Sanctuary Baines’ Camp, this vast patch of the river delta in northern Botswana is so private that only Sanctuary Retreats’ vehicles tour these precious, pristine grassy plains. This ensures a more exclusive safari experience and allows a deeper connection for all with the wild and promising show-stopping sightings of the Big Four. Sanctuary Stanley’s Camp is also considered one of the best places in the world to view buffalo in large numbers.